Top 21 covered by less than a second! 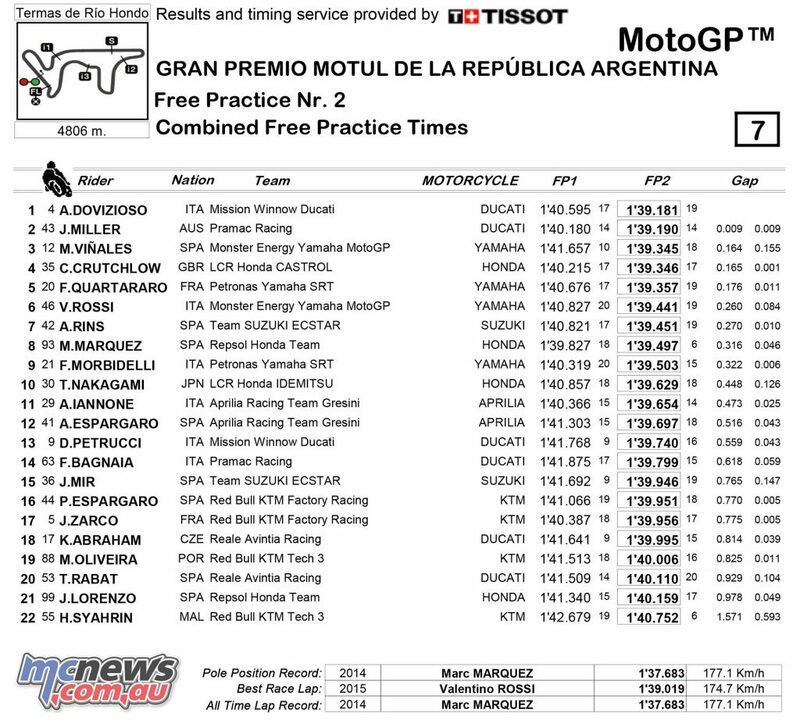 Championship leader Andrea Dovizioso (Mission Winnow Ducati) leads an incredibly tight MotoGP field at the end of play on Friday at the Gran Premio Motul de la República Argentina, topping a manic shuffle to the timesheets at the end of FP2 as riders pushed to make it into that all-important provisional Q2 graduation zone. 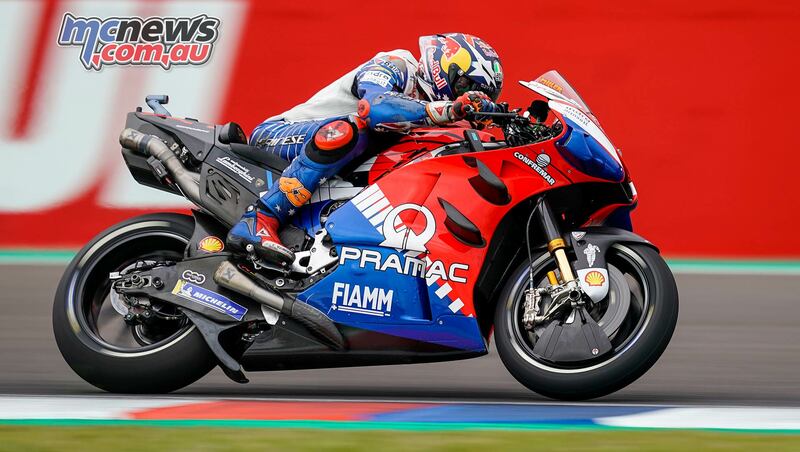 And Dovizioso may have ended the day on top once the action was over, but the gap back to P2 was tiny as the Italian was just 0.009 ahead of Independent Team rider Jack Miller (Pramac Racing). It only seemed the get closer from there. “I am very satisfied with this first day. 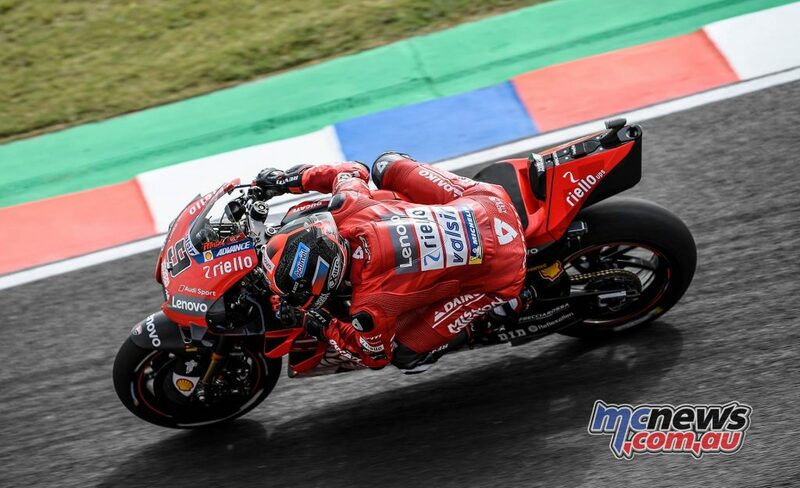 The feeling with the bike is very positive and in both sessions we were able to ride with great incisiveness both with the used tyres and with the new tyres. It’s a shame about that small slide that didn’t compromise our work anyway”. The rain mildly threatening overhead ultimately never came to fruition but the seven minute push for a laptime on fresh rubber made for a spectacular end to the day. 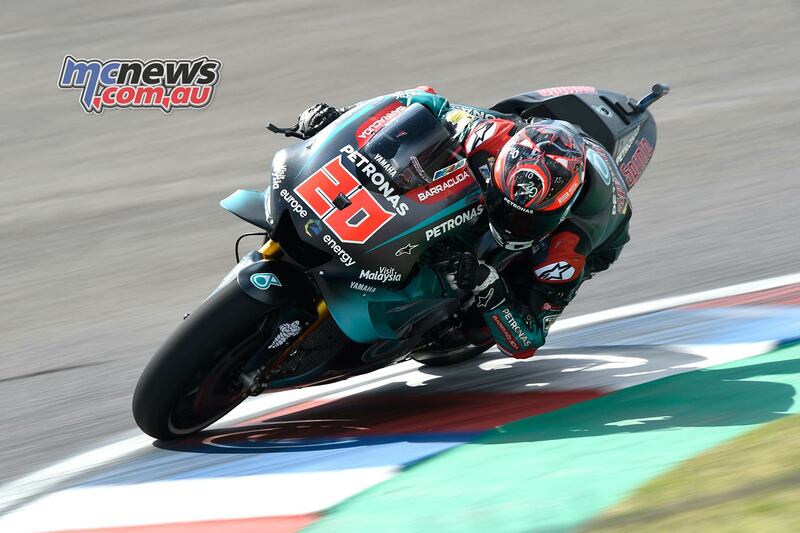 Third went to Maverick Viñales (Monster Energy Yamaha MotoGP) as he headed an incredibly close trio, with LCR Honda Castrol’s Cal Crutchlow just 0.001 off the Spaniard and superstar rookie Fabio Quartararo (Petronas Yamaha SRT) once again showing some stunning pace to complete the top five. 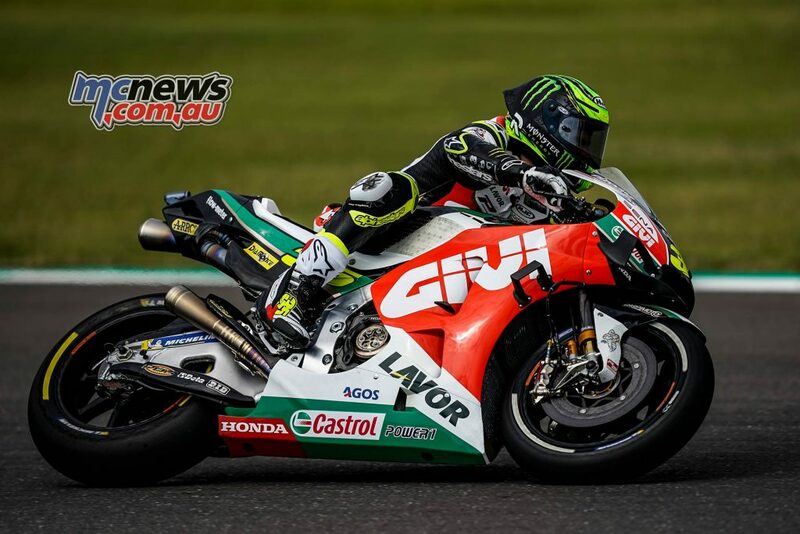 The gap between 2018 Argentina GP winner Crutchlow and the newcomer? Just 0.011. 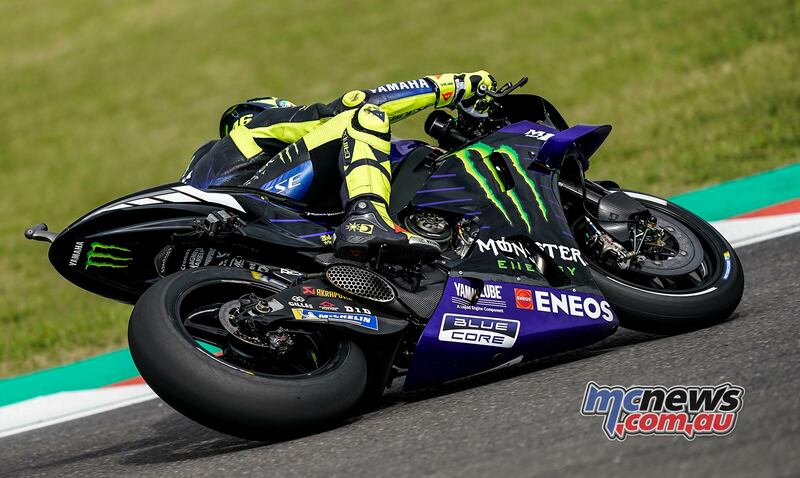 Just under a tenth was the next gap and that was back to veteran Valentino Rossi (Monster Energy Yamaha MotoGP), the 2015 winner at the venue, before another infinitesimal 0.010 split him from Alex Rins (Team Suzuki Ecstar). 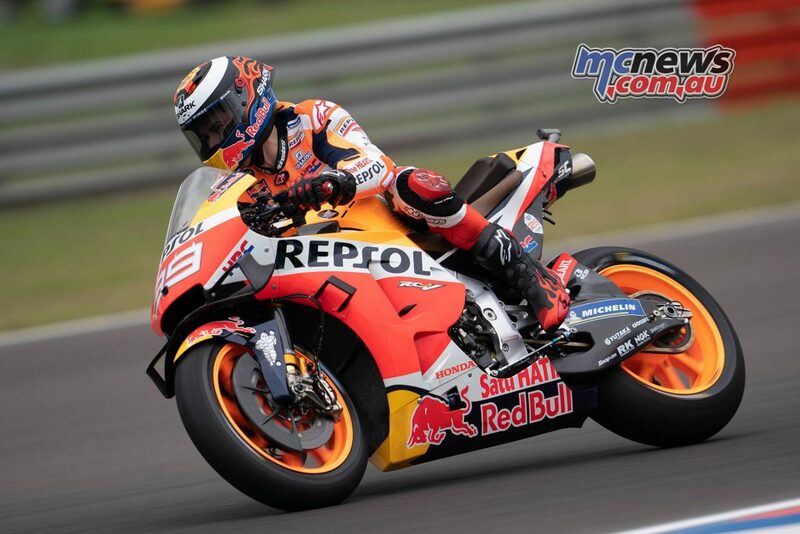 FP1 leader Marc Marquez (Repsol Honda Team), who also set the pace throughout much of the second Free Practice session too, was deposed down to P8 by the last minute dash. 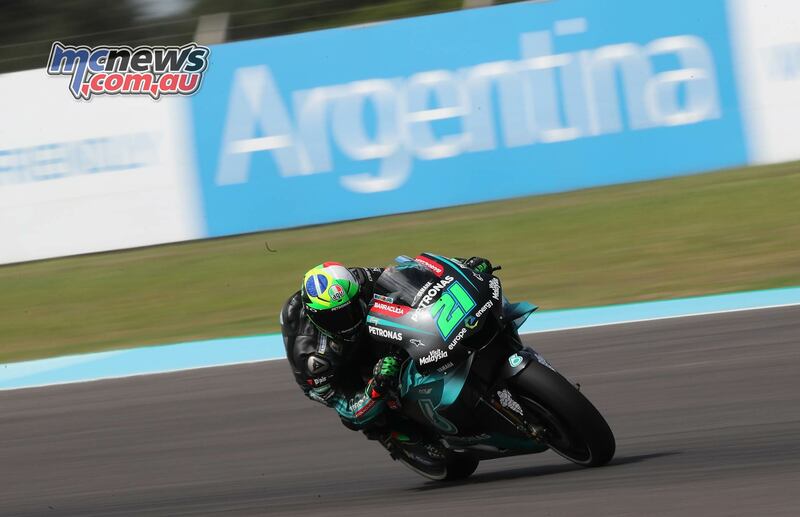 Sophomores Franco Morbidelli (Petronas Yamaha SRT) and Takaaki Nakagami (LCR Honda Idemitsu) rounded out a top ten split by less than half a second. So who’s at risk of missing out on Q2 should the rain come down on Saturday morning? 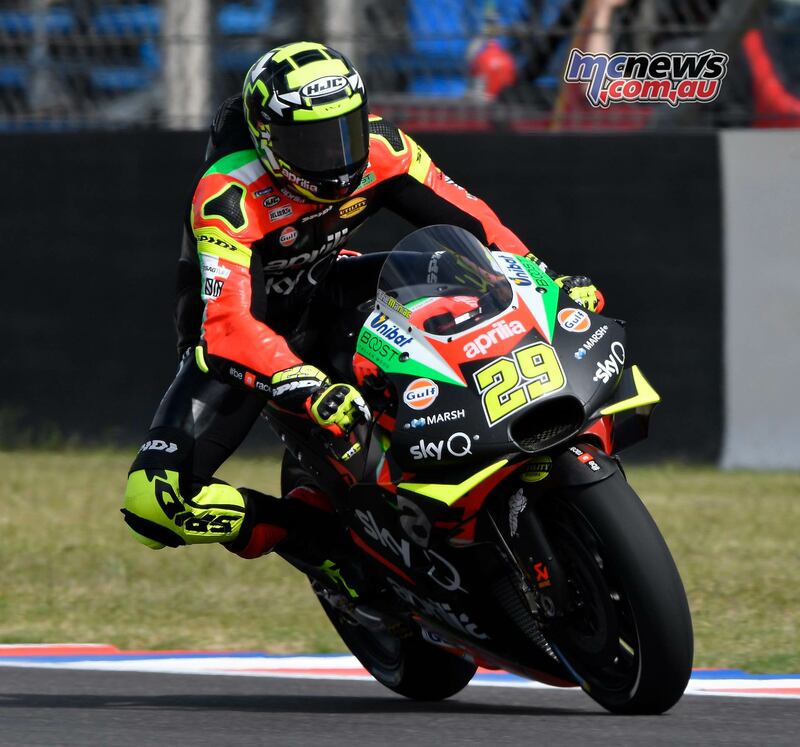 Aprilia Racing Team Gresini’s Andrea Iannone and Aleix Espargaro only just missed out in P11 and P12 respectively, ahead of a somewhat out of position Danilo Petrucci (Mission Winnow Ducati), who crashed in the morning. Rookie duo Francesco Bagnaia (Pramac Racing) and Joan Mir (Team Suzuki Ecstar) lurk close by, too. 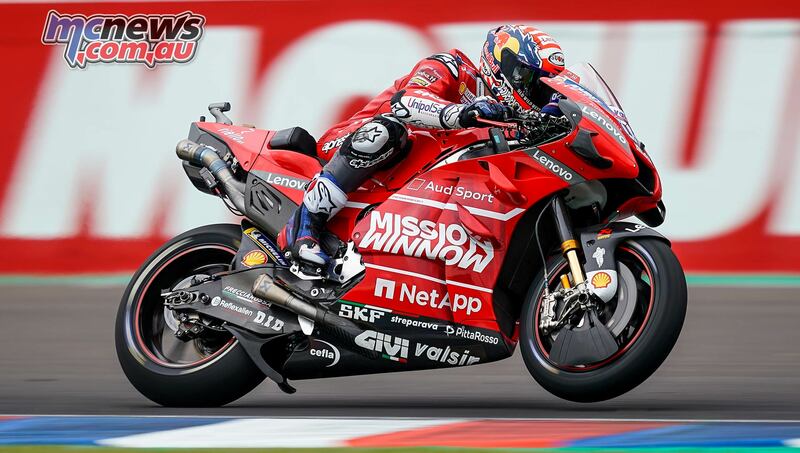 “I’m happy because in FP2 we’ve improved a lot. It’s not easy to find the feeling right away on a track where we didn’t test. We are very close to the Top 10 and there is great confidence. 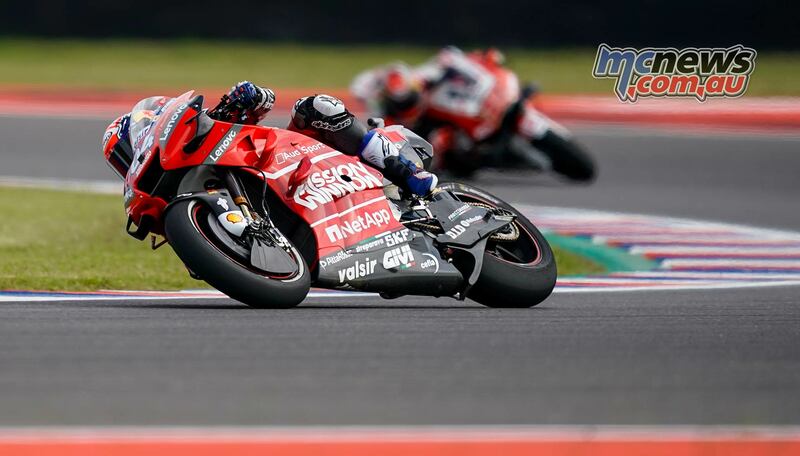 I also thank the Clinica Mobile: I had a pain in my right arm and after the FP1 they did a great job”. 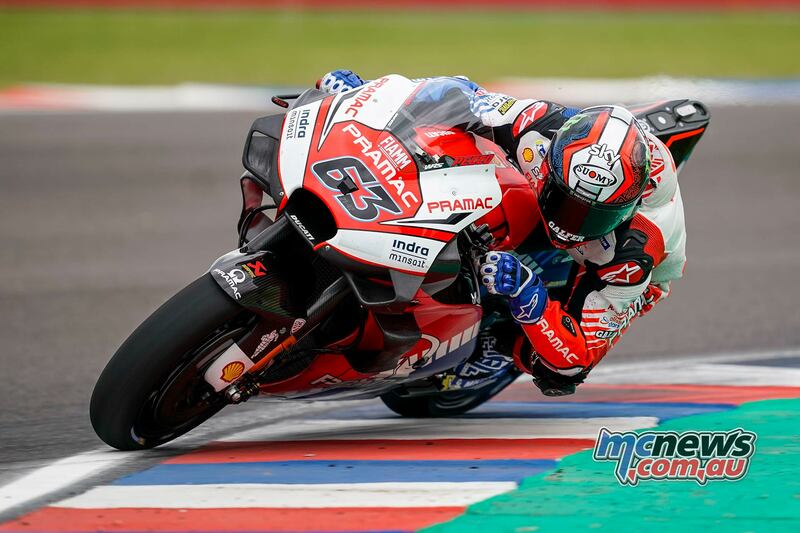 Jorge Lorenzo (Repsol Honda Team), meanwhile, had a tough first day as he comes back from injuries sustained to his ribs in Qatar and the scaphoid broken in pre-season. 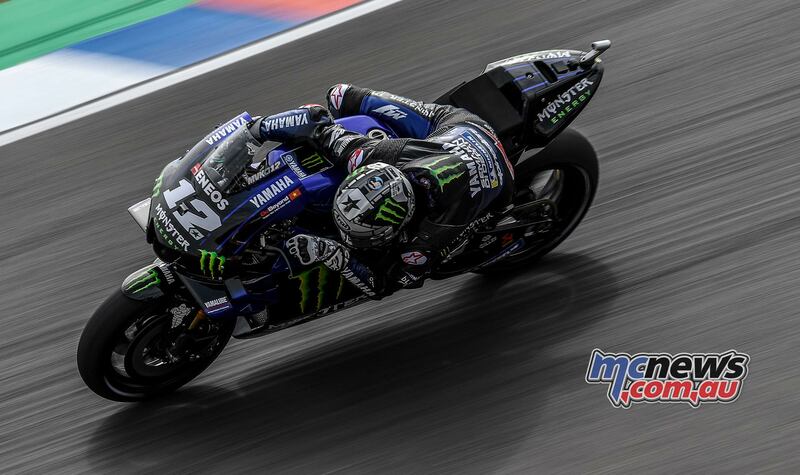 He was P21 on Day 1 and the final man covered by less than a second on an extremely competitive Friday – nevertheless quite a feat in terms of pace as he fights back to fitness and adapts to his new machine. They’ll be praying for the weather to hold out when the premier class head out on track at 0050 (AEDT) on Sunday morning for FP3, with Q1 then getting underway at 0505.